In the past few years, terms such as “Smart Cities” and “Future Cities” have emerged to capture the widespread sense that the current decade is one in which trends in technology, the economy, demographics and the environment are coinciding in an exciting and meaningful way. Common patterns have emerged in the technology platforms that enable us to address these economic, social and environmental challenges. For example, the “Digital Cities Exchange” research programme at Imperial College, London; the “FI-WARE” project researching the core platform for the “future internet”; the “European Platform for Intelligent Cities (EPIC)“; and IBM’s own “Intelligent Operations Centre” all share a similar architecture. I think of these platforms as 21st Century “civic infrastructures”. They will provide services that can be composed into new city systems and local marketplaces. Those services will include the management of personal data and identity; authentication; local currencies; micro-payments; and the ability to access data about city systems, amongst others. But whilst some trends in technology are technically cohesive and can be defined by a particular architecture – as was the case for client/server computing, distributed computing, the initial emergence of the mobile internet, or Service-Oriented Architecture (SOA) – other trends are more nebulous. Five years ago, my role for IBM was to develop and evangelise the opportunities that social computing and “Web 2.0” represented for our customers. Whilst various patterns emerged to express the ways in which technology at that time could provide new value to businesses, communities and individuals, no single technology or platform accompanied the trend. Rather, “Web 2.0” was the label for a period in time in which the internet and related technologies once again became a valuable source of innovation following the “dot.com crash”. Tim O’Reilly, widely credited with coining the term “Web 2.0”, acknowledged this interpretation in his “How to succeed in 2007” interview with CNN. Some of the technologies at the heart of urban innovations are incredibly simple. 15 years ago, I lived through the transformation of a city neighbourhood that illustrates this point. It involved community activism and crowdsourced information, enabled by an accessible technology – analogue photography. As a University student in Birmingham, I lived in rented accommodation in the city’s Balsall Heath area. Balsall Heath has one of Birmingham’s largest Muslim communities, in addition to its substantial student population. And, for the best part of half a century from the 1950s to the 1990s, it was Birmingham’s “red light” district, the centre of prostitution in the city. At the time, Balsall Heath’s prostitution trade was so open that Cheddar Road – just across the street from the house that I lived in – was the only road in the UK with houses with “red light” front rooms. Balsall Heath was clearly a district with substantial differences in culture – which were accommodated very peacefully, I should say. But in 1994, members of the Muslim community decided to change their neighbourhood. They put out old sofas and chairs on street corners, and sat on them each night, photographing anyone walking or driving around the area seeking prostitutes. Those simple steps tapped into the social motivations of those people and had a powerfully discouraging effect on them. Over the course of a year, prostitution was driven out of Balsall Heath for the first time in 50 years. It has never returned, and the district and its communities were strengthened as a result. The UK Prime Minister David Cameron has referred to the achievements of Balsall Heath’s community as an inspiration for his “Big Society” initiative. I have just given a very simplified description of a complex set of events and issues; and in particular, I did not include the perspective of the working women who were perhaps the most vulnerable people involved. But this example of a simple technology (analogue photography) applied by a community to improve their district, with an understanding of the personal and social motivations that affect individual behaviour and choice, is an example that I have been regularly reminded of throughout my work in social media and Smarter Cities. The city systems facing economic, demographic and environmental challenges today are immensely complex. They provide life-support for city populations – feeding, transporting, and educating them; providing healthcare; and supporting individuals, communities and businesses. As we continue to optimise their operation to support larger, more dense urban populations, maintaining their resilience is a significant challenge. 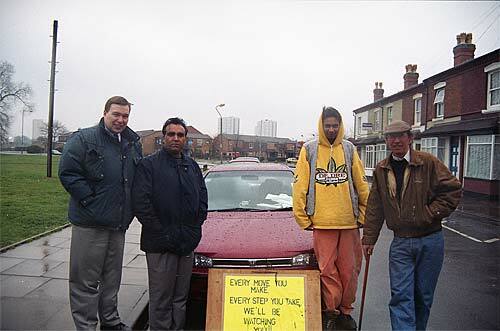 At the same time, though, the simplicity of Balsall Heath’s community action in the 1990s is inspirational; and there are many other examples. 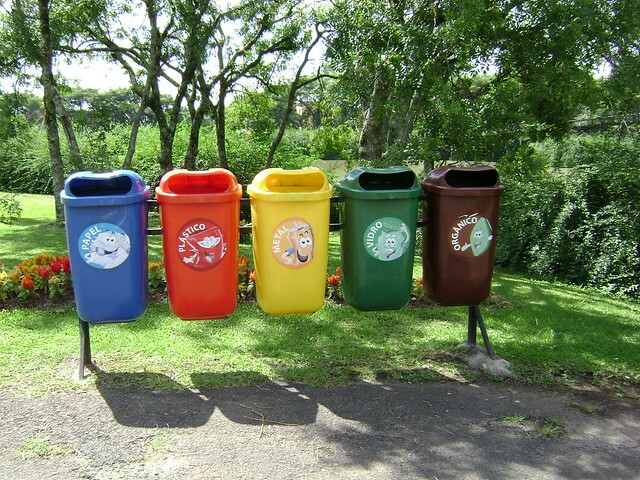 Jaime Lerner started one of the earliest and most effective city recycling programmes in the world by harnessing the enthusiasm of children to influence the behaviour of their parents. In Mexico City a new “bartering market” allows residents to exchange recyclable waste material for food. In Kenya, SMS messages are used to optimise the distribution of malaria medication between local pharmacists; and in Australia, OzHarvest redistribute excess food from restaurants and hotels to charities supporting the vulnerable. These innovations will not always be simply transferable from one city to another; but they could form the basis of a catalogue or toolkit of re-usable ideas, as was suggested by the Collective Research Initiatives Trust (CRIT) in their research on urban innovation in Mumbai, “Being Nicely Messy“, echoing Colin Rowe and Fred Koetter’s “Collage City“. As I wrote recently in the article “Zen and the art of messy urbanism“, many of the Smart systems of tomorrow will be surprising innovations that cut across and disrupt the industry sectors and classifications of city systems that we understand today; and in order to provide food, energy, water, transport and other services to city populations, they will need to be robustly engineered. But drawing inspiration from good, simple ideas with their roots in human behaviour rather than new technology is surely a good starting point from which to begin our journey towards discovering them. The example of Balsall Health as you describe it (I don’t know anything about it) seems to me very problematic. Indeed, you mention that the perspective of the prostitutes is not included: that’s a major problem! To what I understand, one group composing the community has successfully used a technology to drive out another group of the neighbourhood, preempting the definition of what is acceptable in the neighbourhood. This clearly challenges issues the notions of equity and individual freedom, and to my view is not desirable. Second the nature of the use of the technology (analogic photography) is ‘agressive’, intrusive of privacy. This type of application of a technology leads to intrusive practices that do not respect privacy. As a conclusion, I think your example is good, not because it shows how cities/communities can become smarter, but because it actually (indirectly) raises two key issues that are often overlooked by smart cities (over? )enthusiasts: equity and privacy. You are right, the episode I describe in Balsall Heath’s history is complicated and challenging. A full exploration of it would touch many issues; and a resolution that had benefited all parties at the time could only have been reached by changing both the city’s and the national government’s approach to prostitution. Given that that hadn’t happened in the 50 preceding years, though, I personally have sympathy with the actions of the community activists, who represented the majority of the long-term residents of the area. The privacy issue is complex too. The vast majority of people whose photographs were taken were engaging in criminal behaviour, and so photographing them was an act of reporting a crime; but some innocent people will also have been photographed. I also knew female students living in the area who were mistaken for prostitutes by both the community activists and those seeking prostitutes, and who were subjected to comments and behaviour that they found disturbing and upsetting. I think it is important that the eventual outcome is that Balsall Heath is a stronger community and district because of the changes brought about by the community activists; and it is certainly a more pleasant environment in which families can bring up their children. But that doesn’t negate the serious challenges that you mention: how do we establish a consensus in communities? How do we weigh and value the positive and negative outcomes of new initiatives and their different effects on various stakeholders? As our everyday activities increasingly generate information that can be stored, communicated and use, how do we retain control of our own privacy? Whilst these aren’t challenges that I covered in this article, they are certainly challenges that no Smart City initiative can ignore.